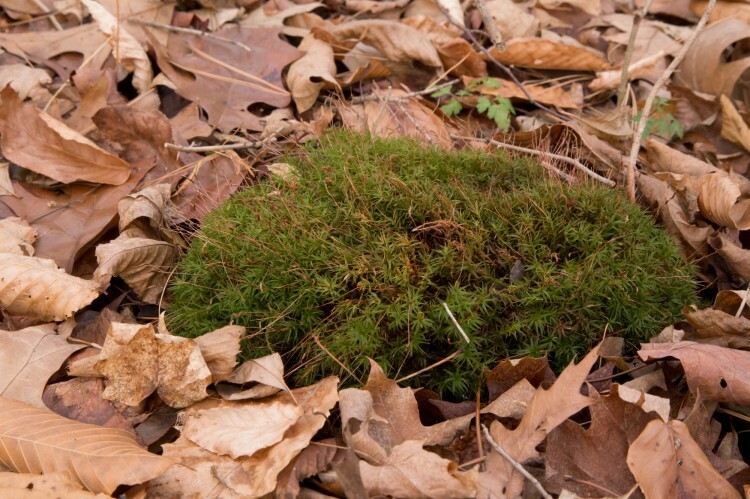 Atrichum altecristatum on soil in a woodland in Delaware County, Ohio. November 26, 2014. 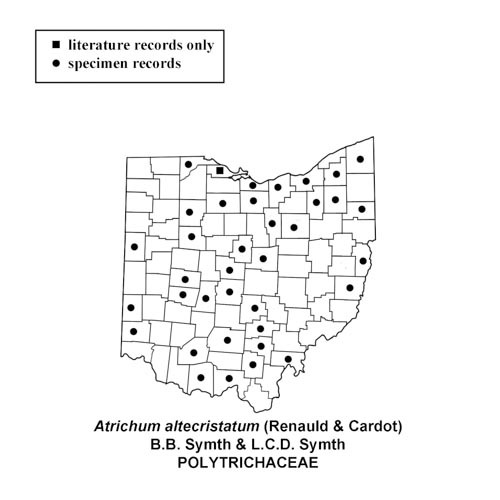 Atrichum altecristatum in woodland in Delaware County, Ohio. November 26, 2014. 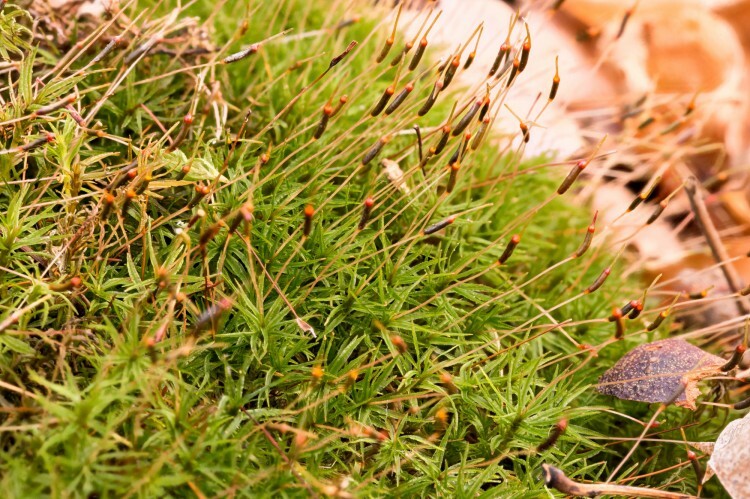 How to recognize wavy starburst moss: Atrichum altecristatum can be confused with some forms of Atrichum angustatum that have wider leaves and cells than usual. Superficially it looks the same with star-like green leaves extending out from the center when wet and looking dead and contorted when dry. 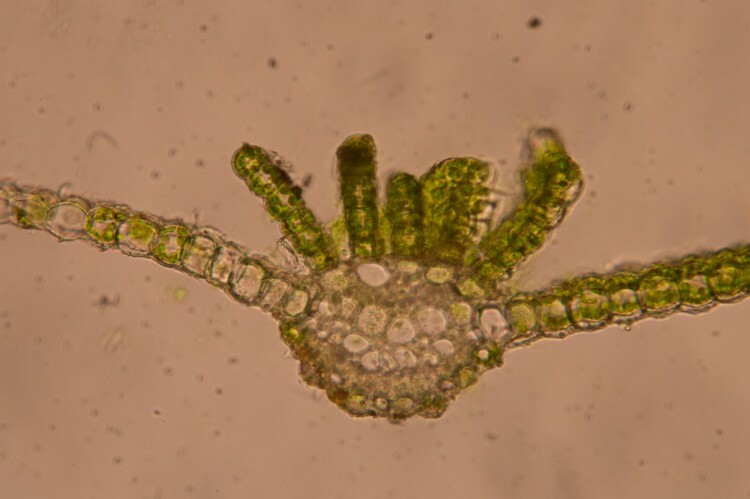 But its leaf cells are always 20 microns or more wide, and the 5-8 lamellae arising from the single costa are up to 7-9 cells high but are not wavy like those of A. angustatum. 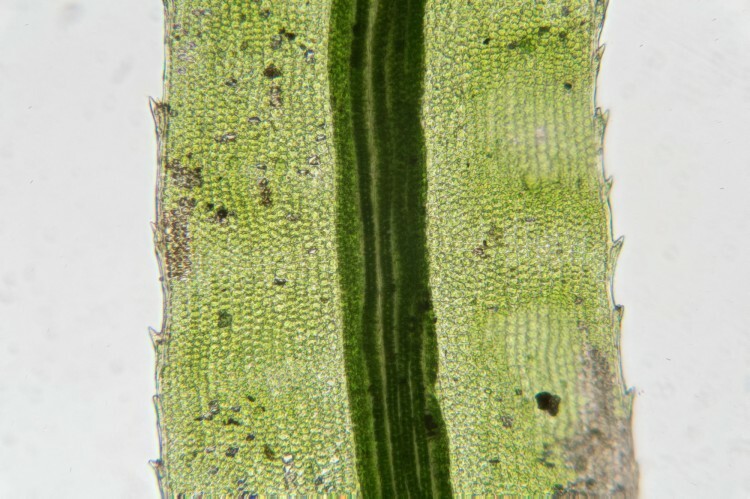 The leaves are undulate which gives it’s wavy name, and teeth are found on the undulations on the back of the leaf and double teeth along the leaf margins from halfway up the leaf to the tip. 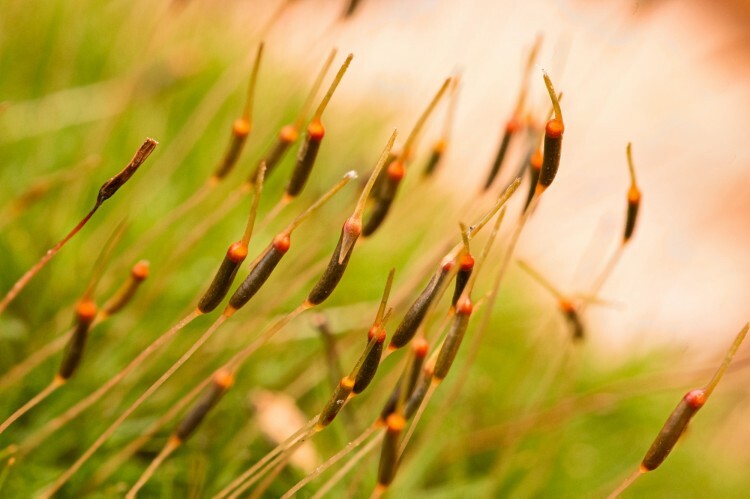 Notice the long rostrate (with protruding “nose”) operculum which protects the developing spores in the capsule until they are ready to be dispersed. 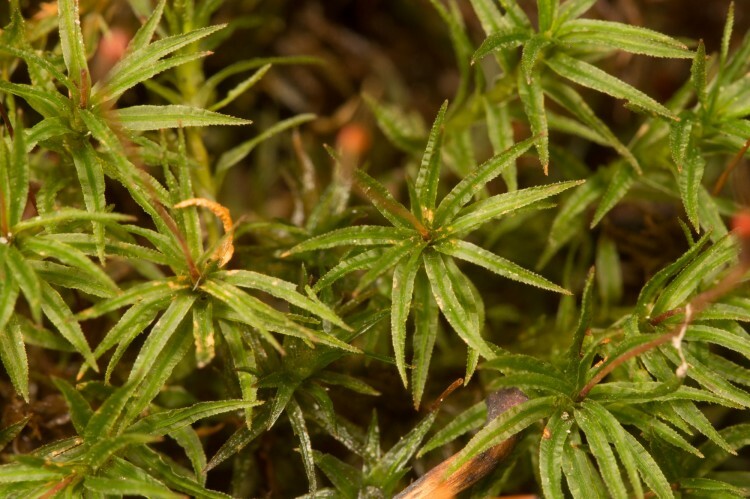 Where to find wavy starburst moss: Atrichum altecristatum grows on soil in forests along trails and roads.